It's an Anchorman 2 smorgasbord! 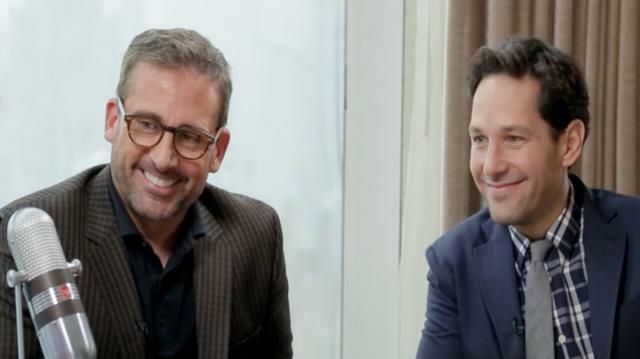 Larry welcomes stars Steve Carell, Paul Rudd, Christina Applegate, James Marsden and Meagan Good to chat about their love for one another, making Will Ferrell laugh, and that controversial dinner scene. The Judges of "Hot Bench"
Actor Jason Bateman Reveals How He Championed Melissa McCarthy to Be in "Identity Thief"
Colin Ferrel, Jessica Biel and Kate Beckinsale talk about "Total Recall"
King's Things: The Cast of "Catching Hell"